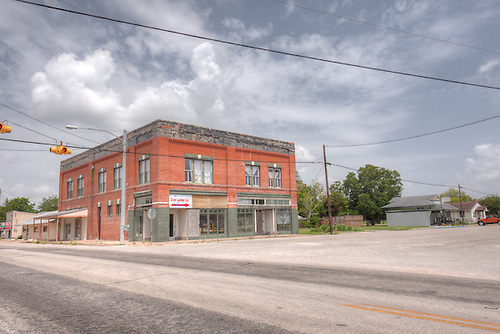 The rural community of Pringle, Texas can be found at the intersection of State Highway 136 and Farm Road 1598 in the northern part of Hutchinson County. A very small town, this location is home to an estimated 40 residents. The northern Texas Panhandle town came into being thanks to the Chicago, Rock Island and Pacific Railroad built between Stinnett and Hitchland, beginning in 1929. That same year William H. Pringle donated land for a school and the Pringle post office also opened. The Pringle post office closed in 1947, although the population rose to 60 that year. The Pringle School has been consolidated with the Morse Schools since 1977. The Pringle-Morse is a public school for students pre-kindergarten through the eighth grade. It is located in Hansford County. Pringle-Morse Consolidated Independent School District serves southwestern Hansford County, part of southeastern Sherman County, and the northern area of Hutchinson County. One hundred twenty one students are enrolled in the school. The student/teacher ratio is 8.96. The school also employs 15 additional staff to support administration and educational services. Neighboring the tiny town are Stekoll Camp, Plemons, Holt, Oil City, Stinnett, Morse, Morse Junction, Dial, Capps Switch, and McKibben. They are all located within 15 miles of Pringle. Little Pringle I and Little Pringle II wind farms were purchased by DeWind Co, a subsidiary of Daewoo Shipbuilding and Marine engineering Co. Ltd in May 2011. The wind farm sites started commercial operation in 2010. About 12 of the Pringle residents work in Pringle, earning an average of $32,759 per year. The average household income is a bit higher, at an annual wage of $36,845. Average size of households in the community is 2.5. Housing values in the unincorporated community averages approximately $46,577. Pringle may lie in the windswept high plains, but the area is unique. Nearby, the Canadian River has carved a beautiful landscape of bluffs and canyons that originally drew Native Americans to the area. In less than an hour, residents can drive to Lake Meredith. The Lake Meredith Recreational area has no admission fee, offers swimming, boating, hunting, fishing, camping and picnic areas. A boating permit must be purchased. The Hutchinson County Museum is located in nearby Borger.